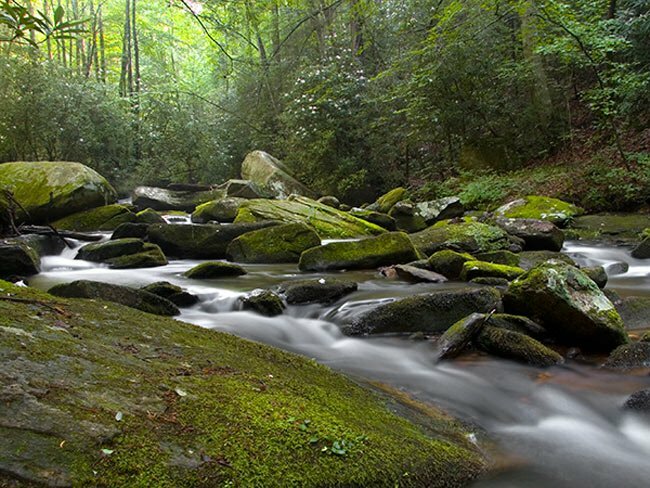 Reedy Cove Creek begins just below Sassafras Mountain and flows towards Twin Falls and then to Eastatoe Creek in Pickens County. It continues south and west to form the natural border between Pickens and Oconee counties. It then becomes the Seneca River before draining into the Savannah River. Reedy Cove Creek can be accessed from the direction of Pickens by traveling north on United States Highway 178 for around 12 miles, turning left onto Cleo Chapman Road at an unmistakable landmark, Bob’s Place Tavern and Roadkill Grill. Next, drive two miles to an intersection, turning right onto Eastatoe Community Road. Drive another mile and turn right onto Waterfalls Road until you reach a parking area. Special thanks Tom Fetters for providing much of the information on this page.